A monopod tripod combination will save you the hassle of buying them separately and having to carry two different types of camera supports at the same time. You don't want to spend twice as much money either. This article will explain the 3 different kinds of tripod monopod combos, help you decide which is the right one for you, and give you a good place for reading reviews on specific models. Let's face it. Tripods are better to use in some situations and monopods are better in other situations. Using a tripod-monopod hybrid makes more sense, right? If so, what's the best monopod tripod combination? Everyone likes to travel lightly, but which combined monopod and tripod kit is the better way to go. When they first came out, the 2in1 tripod monopod combo was more of a novelty and the designs weren't fully thought out. How about now? It's a no-brainer. 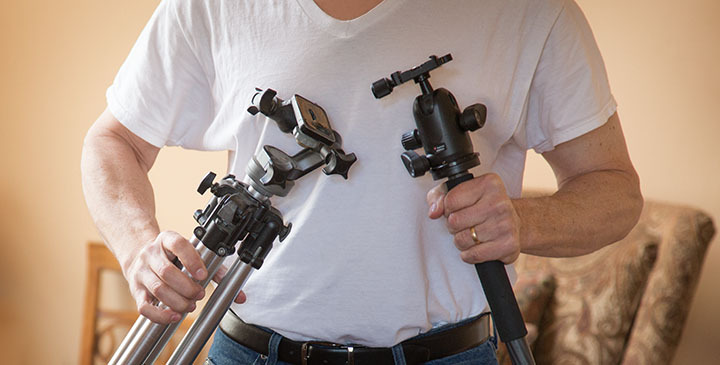 Let's evaluate the ins and outs of the 3 different set-ups for monopod and tripod combinations. If you'd like to add your thoughts too, so everyone can benefit, you can add your opinion at the end of this article. There are different directions you can go in when considering having both a tripod and a monopod at your disposal at the same time. There is no one right answer to our question of whether it's a good idea for you or not, but this comparison will help you. You can use any one of the tripod legs as your monopod. Simply unscrew the ball head and one of the legs from the tripod base and screw them together. The system below, marketed by Ravelli, also comes with a long handle to use for smoother side to side panning. This idea was long overdue. If I didn't already have a small army of tripods, I beieve I'd jump on this one. Unless you are in a shooting situation where you need to switch quickly between the two accessories, this is a smart choice. It feels great to be able to "kill two birds with one stone" when you can and these monopod-tripod combos are very reasonably priced. One definitive disadvantage. It will take you a minute or two to switch back and forth between the two. You can see that it's a really good example of some smart engineering. The video also shows you that it does take some time and effort to take apart your tripod to get your working monopod. The combo shown below wasn't what I thought of when I started writing this article, but I included it for those of you who don't mind carrying both. This is really just a marketing technique, to sell them together. If you really need to save money and are going for separate accessories; you treat your equipment very gently and don't need it to last a long time, The Dolica duo above might work for you because it's so cheap. For point and shoot cameras and occasional use, this is definitely a bargain and worth considering. 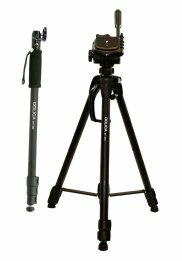 If you're a newbie in using both of these camera accessories, it might make sense to start with a solid monopod tripod combination. Both devices provide you with great support for certain shooting situations. Monopods are great for wildlife and sports photography. 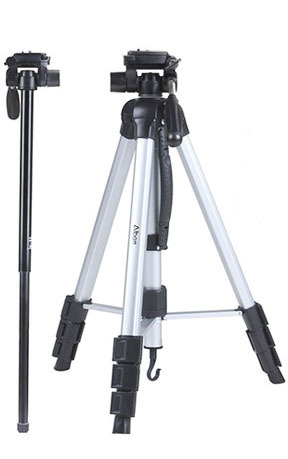 Tripods are great for portraits, video, landscapes and all kinds of night photography. both monopods and tripods can work well with video. This is the monopod tripod combination that I most recently acquired. 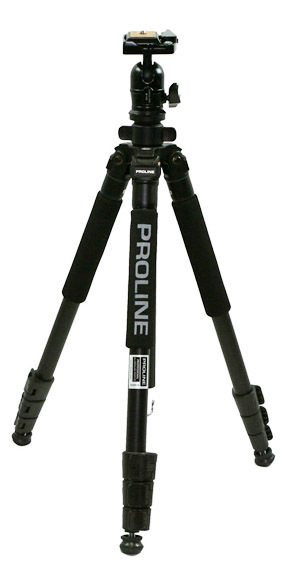 Realize this not a true tripod and will not have the same steadiness as a traditional tripod. The 3 legs are simply not long enough to provide a wide base. I've used this to shoot portraits in low light situations and I've used it to shoot some wildlife where I'm using a long, heavy lens and it worked fine in those situations. A monopod with legs would be no good for long extended exposures or nighttime photography. Personally, I have 5 other tripods and a basic monopod as well, so I did not want to buy another traditional tripod. I thought this new combo would be fun to play around with and I bought the Koolehaoda Monopod With Feet. When I first pulled it out of the packaging I laughed. It is so light, I couldn't believe it. But it felt solid and well made as soon as I started playing with it. Lately, I've been playing around with it as support for my new Tamron 150-600 super zoom. In my opinion this is best suited for shooting sports, wildlife, and mostly designed for shooting video. One of it's KOOL features is you can remove the feet and replace with a tip for standard monopod use. Let's face it, tripods can be one an awkward camera accessories to use, particularly with travel and location photography where your space is limited. You can read the specific reviews on these three types of combinations of monopods and tripods coming up. You can purchase your monopod tripod combination in so many places, it's beyond the scope of this article to give them all to you. The best place to read reviews on tripod-monopod combinations is Amazon. I use Amazon as a keep research tool for just about any product I am checking out, camera equipment and otherwise. There are more reviews to read there read than any other source. I became such a fan of the site that I signed up as an Amazon prime member and created an affiliate account. Disclaimer: That means if you click on one of the links below for a monopod tripod combination and buy it, I get a little financial "thank you" from Amazon. It doesn't cost you a thing, but I wanted you to know. 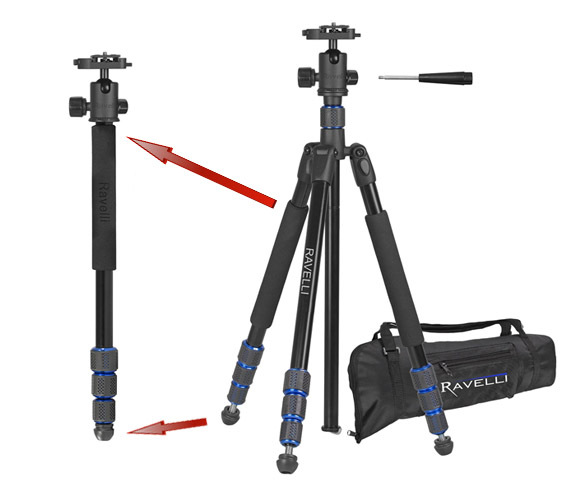 Do you have an opinion on a tripod monopod 2 in1 combo that would benefit other readers? Go ahead and give me your opinion on a good monopod tripod combination. Which of these three versions makes the most sense for you? What do you think about a merger of a tripod and a monopod into one single accessory? Your ideas will appear on a Web page exactly the way you enter it here. Do you have a photo or two to add? Great! Click the button and find the first one on your computer. Select it and click on the button to choose it. What about equipment combinations other than tripods and monopods? My attention deficit tendencies often kick in when I am surfing the internet for information. Sorry for the digression away from tripod monopod combinations that work, but I just couldn't resist. Have you ever came across any photography gadgets that make you say hmmmm? Here are a few I thought you'd find questionable. 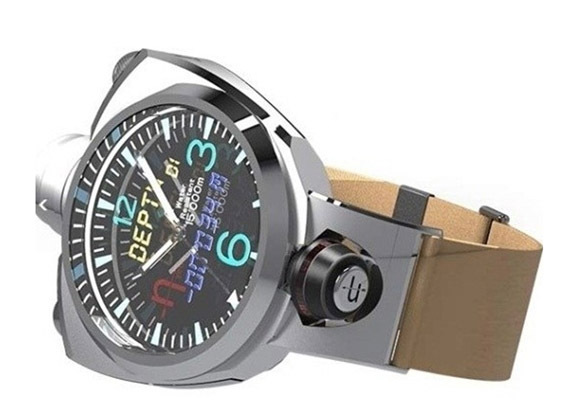 How about a 41 Megapixel Camera Combined With a Watch? I guess if you want to take secret photos of someone without them noticing you could pretend to be checking your watch for the time. How about combining Fotography, Fashion and Function? 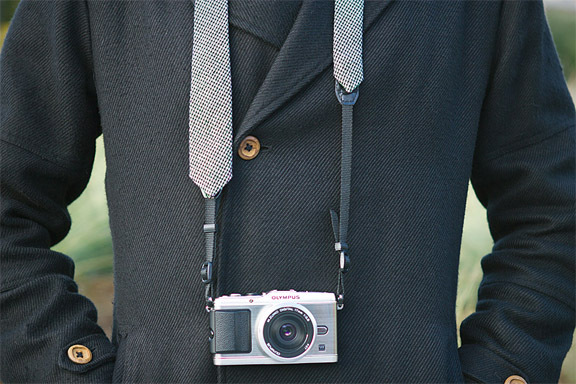 A necktie that supports your camera. I found the web site where these were once sold. They're no longer available. I'm thinking it's because nobody bought any. Who needs a monopod or a tripod when you can support your camera with a polymer stick-to-the-wall gizmo? The jaw-dropping, gravity-defying, space-age alternative to using a tripod. The monster pod is rated to handle up to a 20 ounce camera. It's reported that it will hold your camera onto brick, trees, poles, fences, windows, you name it. I found it being sold on Amazon and I read the reviews and confirmed my suspicions on how effective it would be. No thanks! Now you can shoot underwater photos without holding your camera. I was surprised that there are several versions of these devices and some of them have gotten positive reviews. 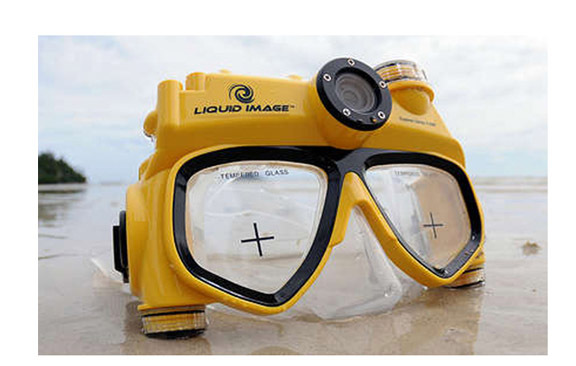 There are even a few mounts for attaching your existing GoPro to a swim mask. Hmmm? Let's face it, there are lot of ways to support your camera, some more effective than others. You'll probably agree with me that a good monopod tripod combination will do just fine. Handle makes it easy to carry. It's the top seller by a landslide. 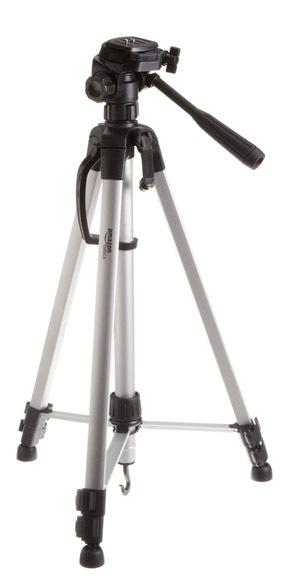 It's half the price of the Dolica tripod. It collapses to only 24 inches. The center pole can be removed and used as a monopod for video. The most solidly built of the three top tripods under $50. 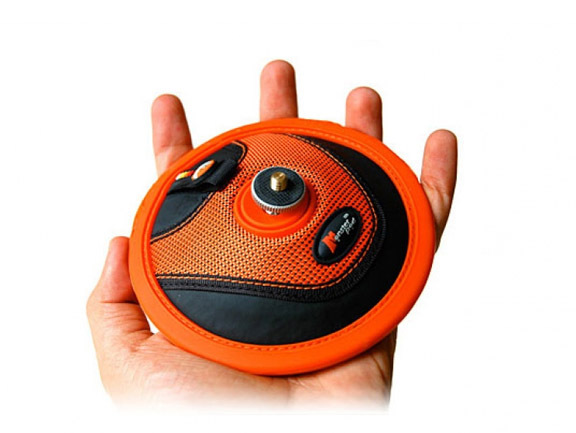 The tripod ball head is smaller and lighter.